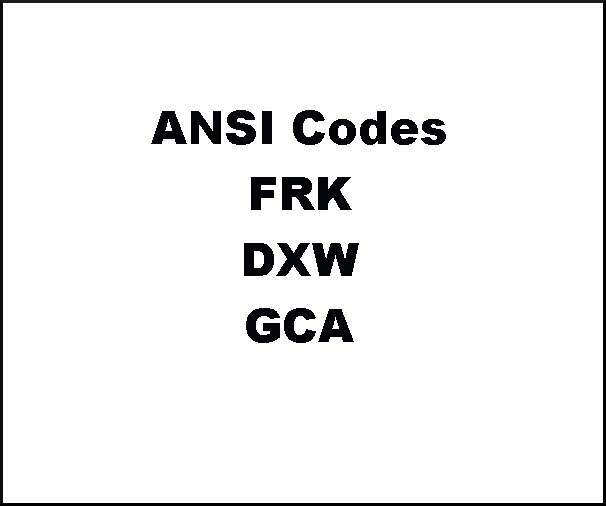 The ANSI Code is a three-letter code developed by American National Standards Institute to designate light bulbs of same type, wattage, voltage, bulb shape, lamp base, light output and color temperature. This ensures that when you buy lamps with a certain ANSI Code, they will be similar to each other regardless of brand. At BarnDoor Lighting, we offer a wide range of popular and rare ANSI code bulbs to ensure you can get the perfect custom lighting for any video or stage production. Some of the codes you'll find in our collection include BCA, CYV, FDN and GCA, among dozens more. Choosing BarnDoor Lighting is a smart decision for any grip. That's because we place a high value on customer service as well as offering competitive prices. Looking for a specific bulb? Give us a call at 1-888-276-3667 or send an email at: info@barndoorlighting.com.Â We look forward to your call and offering our assistance with any of your lighting, electrical and grip equipment needs.